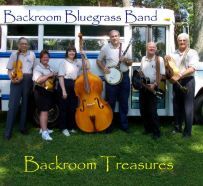 Backroom Bluegrass Band - Recordings and "Other Stuff"
The Backroom Bluegrass Band is proud of its Christian roots, especially its connection to historic Cane Ridge Meeting House in Bourbon County, Kentucky. It was under the shade trees of the Meeting House that the Band enjoyed one of its first performances and discovered its common spiritual thread, sharing its love of traditional music as a gift and blessing. It is a natural progression for the Band to totally feature gospel music in its second album. The formation of the band and its style of folk music have been a journey of faith, allowing the group to share its fun with many congregations and other public audiences. Performing on the album are Bill Johnson, vocals and banjo; Jane Johnson, bass; Walt Johnson, lead vocals and guitar; Homer Ledford, fiddle and mandolin; Dan Pence, vocals, Dobro and guitar; and Pat Soister, mandolin. 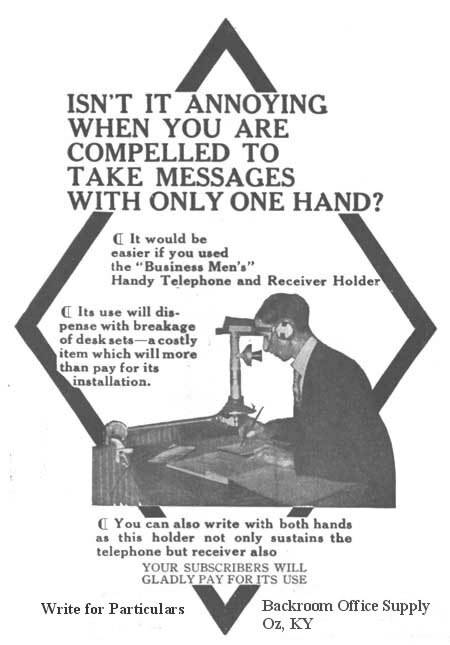 Thank you for listening to our recordings. It is a blessing for us to share them with you. Cover photos shot at Cane Ridge Meeting House, Bourbon County, Kentucky, by Gayl Higdon and William H. Johnson, August 17, 2004. Play List: Amazing Grace, Sweet Hour of Prayer (guitar solo by Dan Pence), In the Garden, We'll Have a Wonderful Time Up There, Preaching Praying Singing, How Great Thou Art, Let There Be Peace on Earth (arranged and played by Bill Johnson), Darkest Hour, In the Garden, Peace in the Valley, Keep on the Sunny Side, Will the Circle Be Unbroken, Let it Shine. 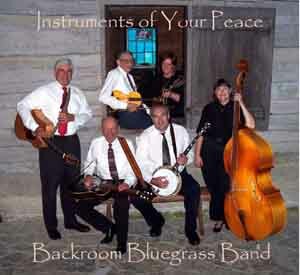 Click here to hear sound samples of "Instruments of your Peace" on CD Baby! 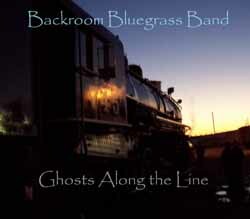 Click here to hear sound samples of "Ghosts Along the Line" on CD Baby! For our fourth album, we have recorded some of our favorite Christmas songs and offer them for your holiday enjoyment. Some of the songs share a message of faith and some, simply the fun and joy of the season. All offer the rich tones of acoustic instruments and close vocal harmonies. We hope you enjoy this collection as much as we enjoyed recording it for you. 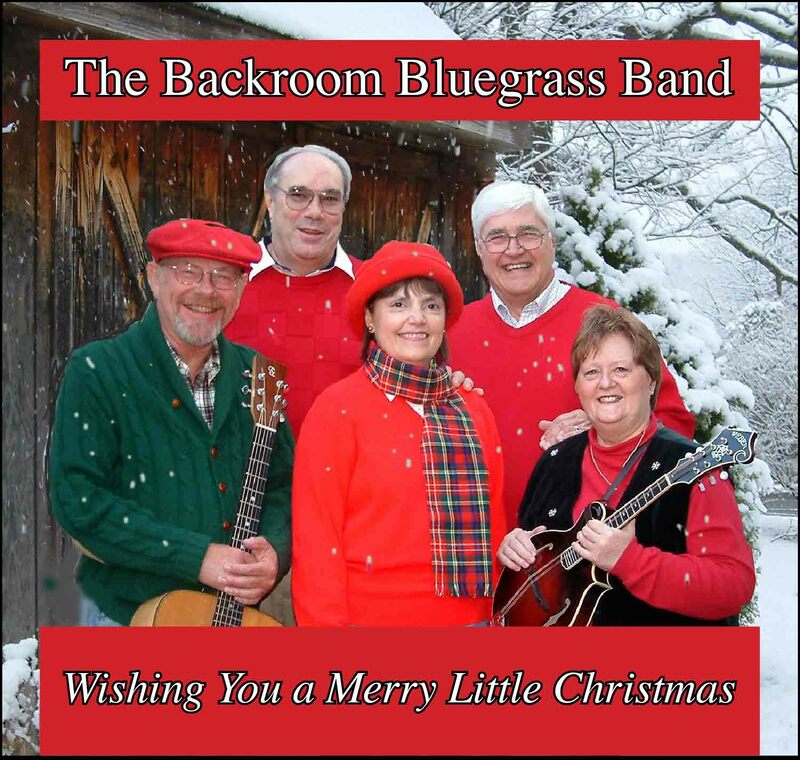 Merry Christmas from The Backroom Bluegrass Band. 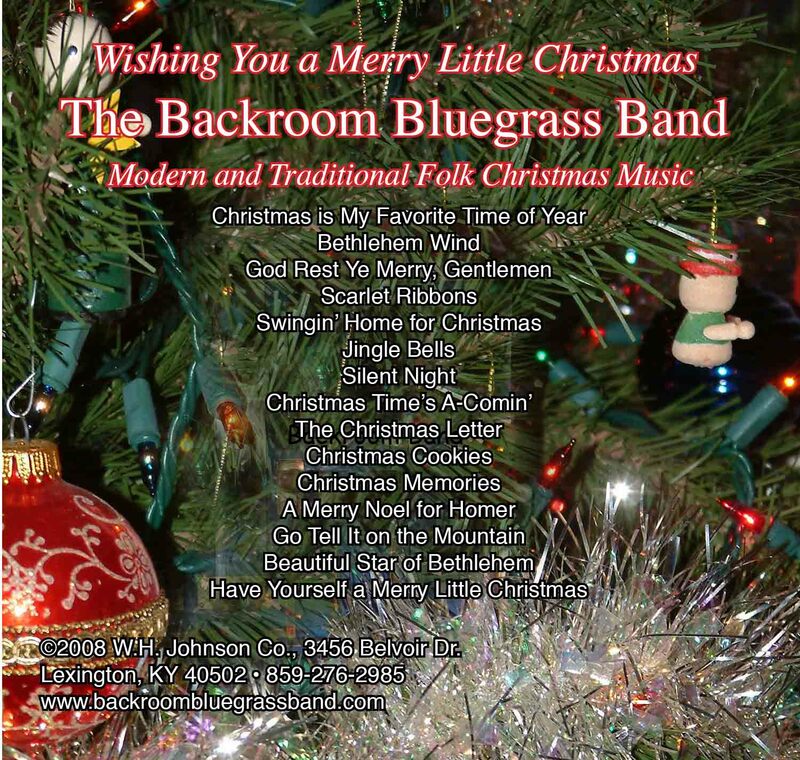 Sorry, our first CD "Backroom Treasures" is out of print and no longer available.